Here is a tough and unrelenting track we did not put in the Family Bushwalks book because it’s a little too remote, dangerous and exposed. 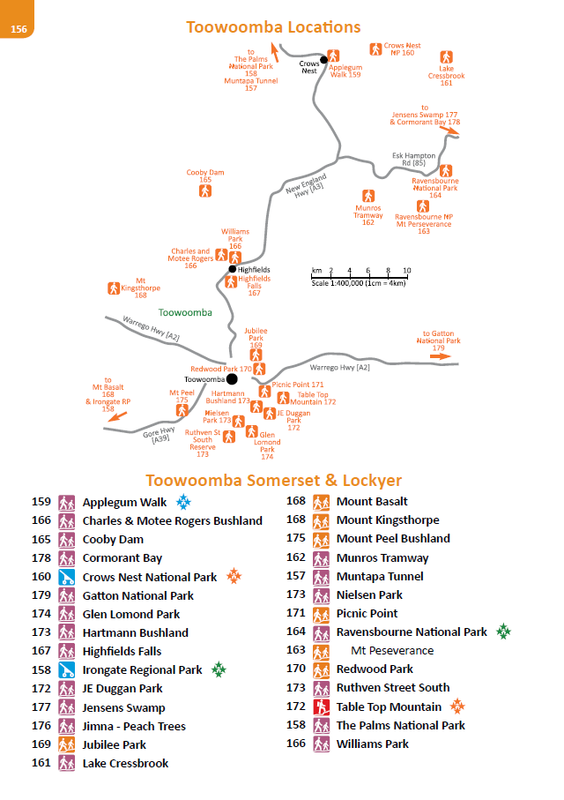 Apparently it’s also possible to travel west along the Border Track from Mt Cougal to Springbrook, and NE then SE from Boyds Butte to the Cascades. The nice folk at Yarraman Caravan Park asked me to make a map of the walk / horse / cycle trails which are signposted around the town. This is something special – the back way into Springbrook from the end of Tallebudgera Creek Road. The route has recently been ratified, modified and variously signed by Gold Coast City Council. I walked the track on 3rd November 2016. It’s tough – 750m climb over 5km. 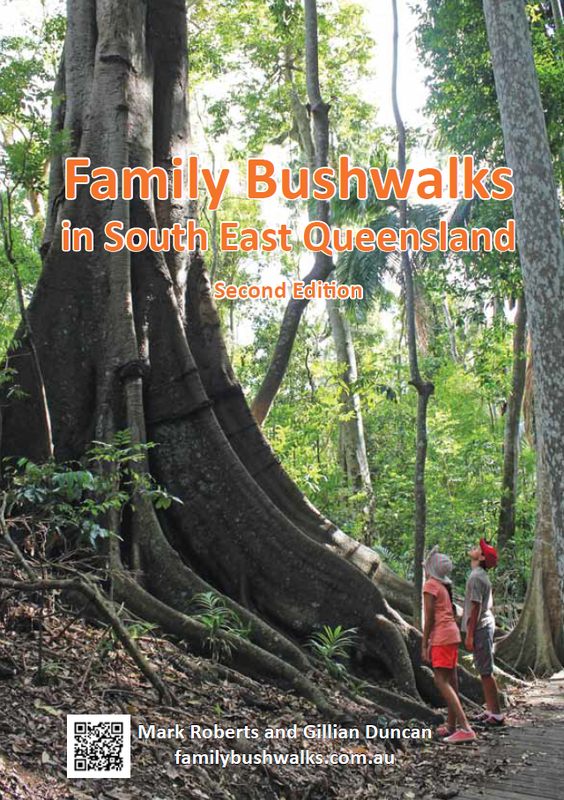 Here is a relatively new and little known but fully signed and maintained walk on one of the Southern Moreton Bay islands. Thanks to Mike for his help with this – the trail is being developed by the locals and the last stretch along the creek to the falls is unformed. A recent development connecting Maleny in the Sunshine Coast almost as far as Gardners Falls – when the bridge is built. Glen Rock State Forest has a little-used bushwalk and also a cycling / horse-riding trail along the creek to the Top Yards.